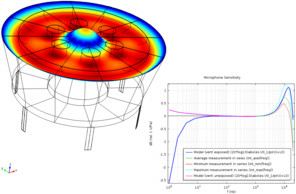 The Acoustics Module is a world-class solution to all your acoustics modelling needs. 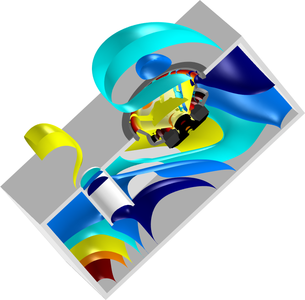 Easy-to-use application modes provide the tools to model acoustic wave propagation in air, water, other fluids–and even solids. It is designed specifically for those who work in classical acoustics with devices that produce, measure, and utilise acoustic waves. Just a few application areas from the audio industry include speakers, microphones, and hearing aids, while those for noise control can address muffler design, sound barriers, and building acoustics. 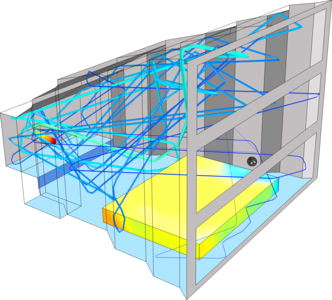 The modelling of acoustics-structure interaction is easily done with the Acoustics Module. This capability is particularly attractive for applications such as the design of sonar transducers in medical and non-destructive testing applications as well as those used for noise and vibration analysis. 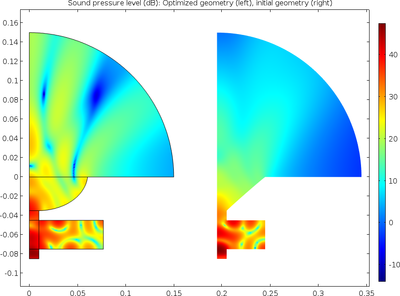 This module also features a special interface for modelling aero acoustics, which is especially useful for the control of aircraft engine noise. In addition, its general Multiphysics ability enhances classical acoustics with further accuracy.